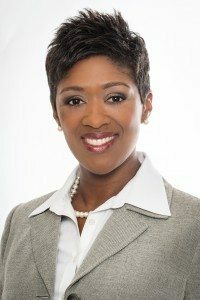 Attorneys across North Carolina have voted Greensboro lawyer Afi Johnson-Parris as the top Legal Elite attorney in the state for family law. This distinction was announced in the Legal Elite edition of Business North Carolina magazine which is published each January, with over 23,000 active members of the North Carolina State Bar picking from among their peers in 14 mostly business-related categories. Across North Carolina, 669 lawyers were selected by their peers, and Johnson-Parris received the most votes of any lawyer in the family law category, statewide. Afi Johnson-Parris left a sole proprietorship to join Ward Black Law in 2013, and has previously practiced with Smith Moore Leatherwood and Kilpatrick Stockton. She is a graduate of the University of Miami and the University of Virginia School of Law, and holds an MBA from the University of Phoenix-Southern Colorado campus. Johnson-Parris, a U.S. Air Force veteran, also practices veterans disability law at Ward Black Law. Johnson-Parris previously served as chair of the NCBA’s Law Practice Management Section and has provided board leadership to Carolina Field of Honor at Triad Park, First Citizens Bank, ABA Law Practice Management Section Women Rainmakers, YWCA, Guilford Coalition on Adolescent Pregnancy Prevention and Junior League of Greensboro. She serves on the NCBA Board of Governors, and is the immediate past president of the Greensboro Bar Association. Ward Black Law is one of the largest woman-owned firms in North Carolina. The firm represents people in accident injury, workers’ compensation, defective products, family law, veterans disability, and Social Security disability matters. To learn more about Ward Black Law, visit www.wardblacklaw.com.